This week we’ve been hosting our first guest to casa bava in Italy: Shannon Hauser. She delivered our wayward cat Clyde to us in one piece, so we’re once again a whole family. “No cat left behind!” is the Groom/Dalla Torre family motto. Shannon is the first of what we hope will be many visitors from abroad, and we spent much of this week showing her around the beautiful Mountain city of Trento. 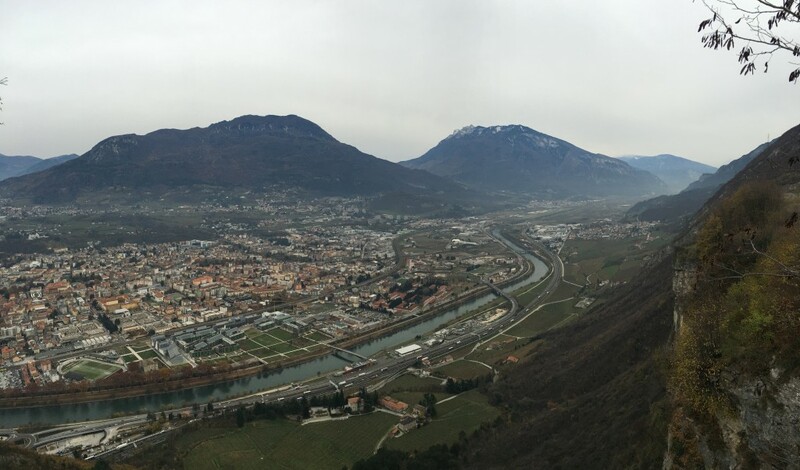 Wednesday we spent the day exploring the Buonconsiglio Castle (more on that in another post), the city center, as well as a cable car (funivia) that takes people from the center of town up to the small suburb of Trento called Sardagna. While riding up to Sardagna you get a stunning view of the city, and it is even better once your off the cable car overlooking Trento. It’s kinda like Trento’s Staten Island Ferry because it’s public transportation that anyone can use for the price of a bus ticket, yet it provides a truly breathtaking panorama of the city. 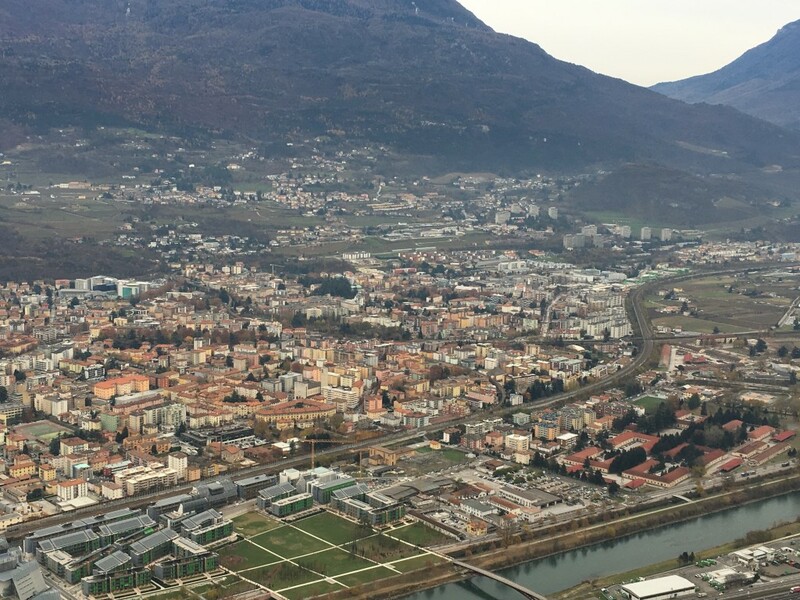 The time-lapse video below captures our descent from Sardagna to Trento’s city center in just 16 seconds. We recommend you put on your seatbelt when watching! You’ll notice the Adige river which hugs the city, it’s Italy’s second longest behind the Po. The Funivia Ride in Trento from Jim Groom on Vimeo. This entry was posted in fun, Reclaim Italy and tagged reclaimitaly, Shannon Hauser, trento. Bookmark the permalink.